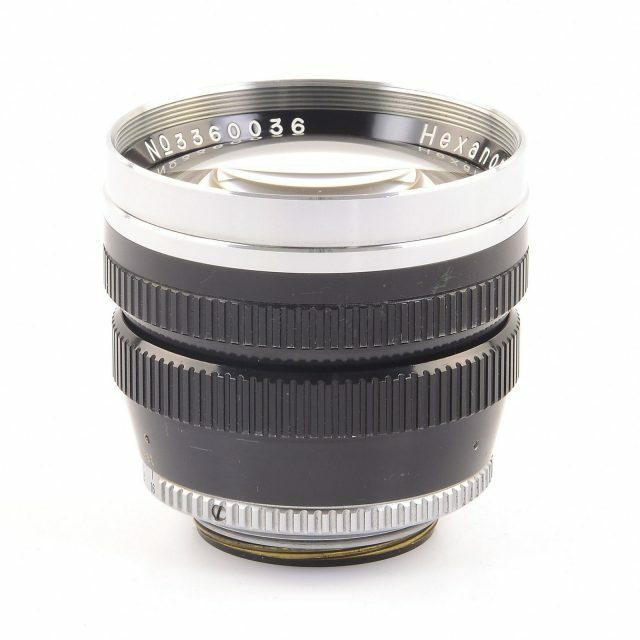 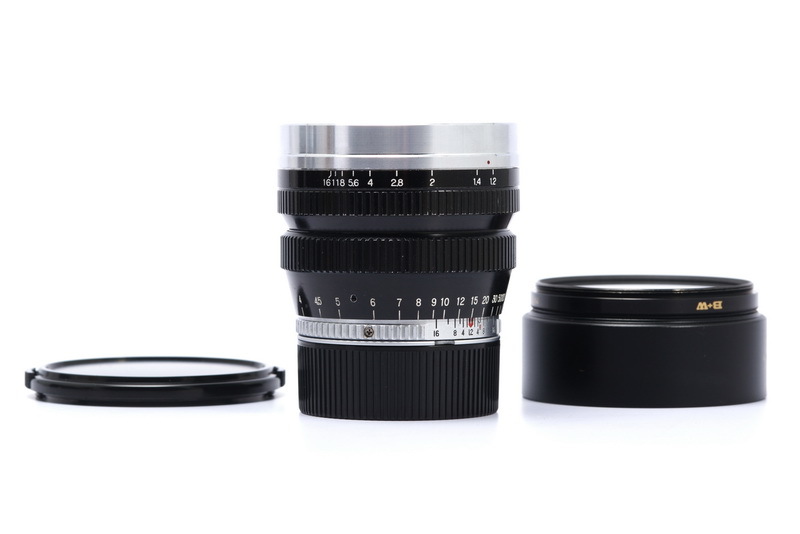 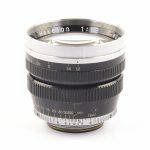 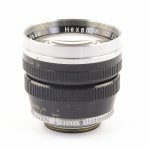 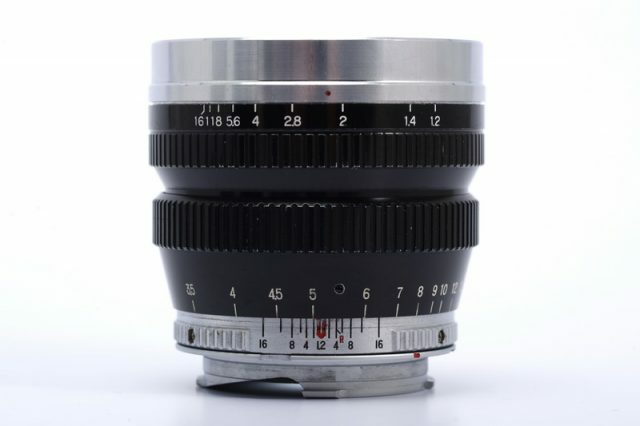 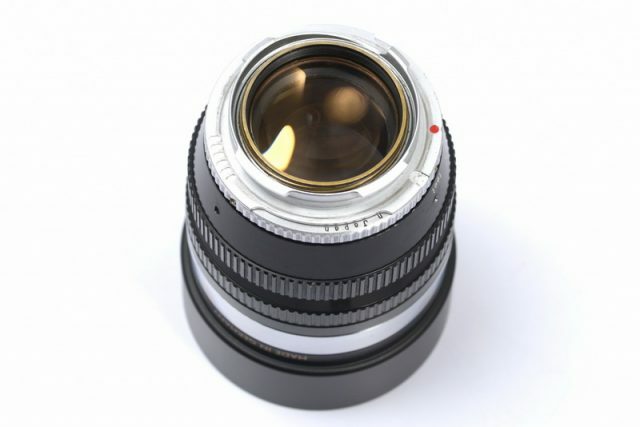 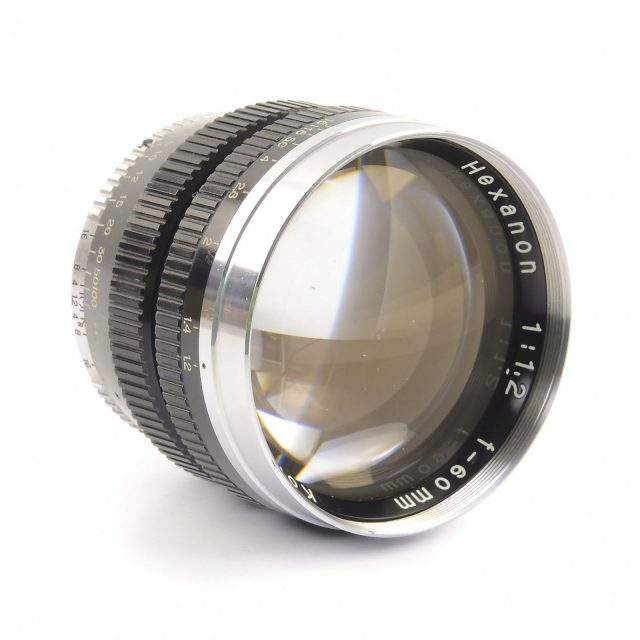 The Hexanon 60mm F/1.2 lens was the highlight of the October 1954 exhibit. 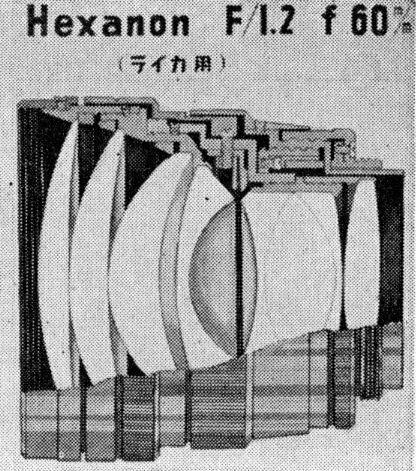 It was briefly mentioned in the January 1955 issue of Sankei Camera, in an article on wide-aperture lenses, was listed in various magazines throughout the year, and was reportedly released in December, appearing as a new product in the January 1956 issue of Shashin Kōgyō. 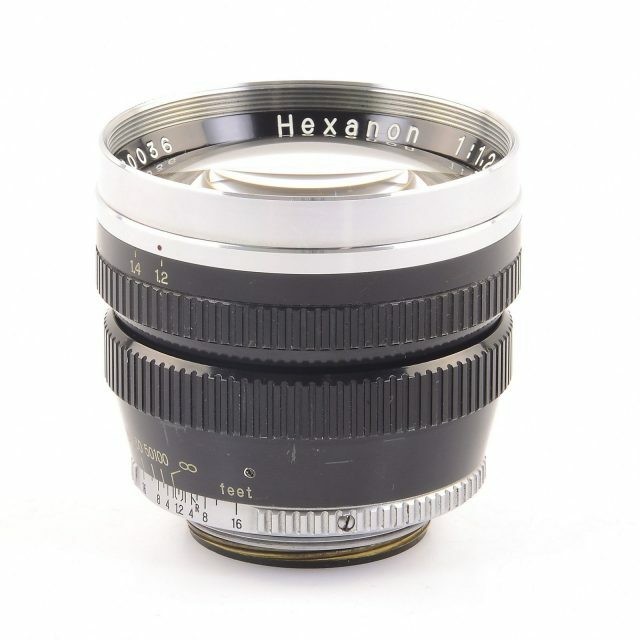 The lens was supplied with a metal “Hexanon” front cap, a dedicated viewfinder, a lens hood, and three filters: UV, yellow and orange. 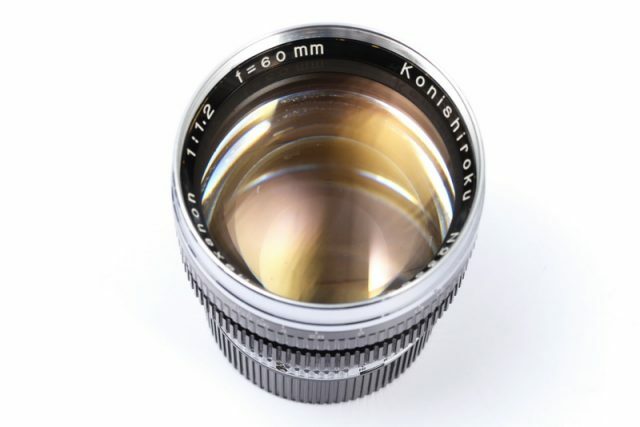 The hood is predominantly square, with a “Konihood” engraving at the top and a cut-out at the top left to clear the field of view of the rangefinder on most cameras. 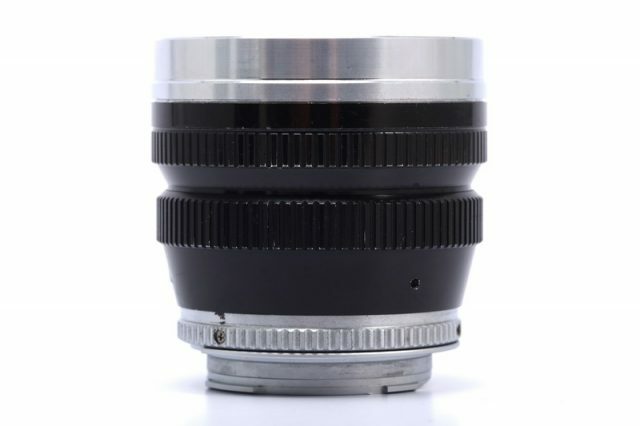 It is slipped on the lens outer rim, and held by a tightening screw. 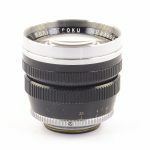 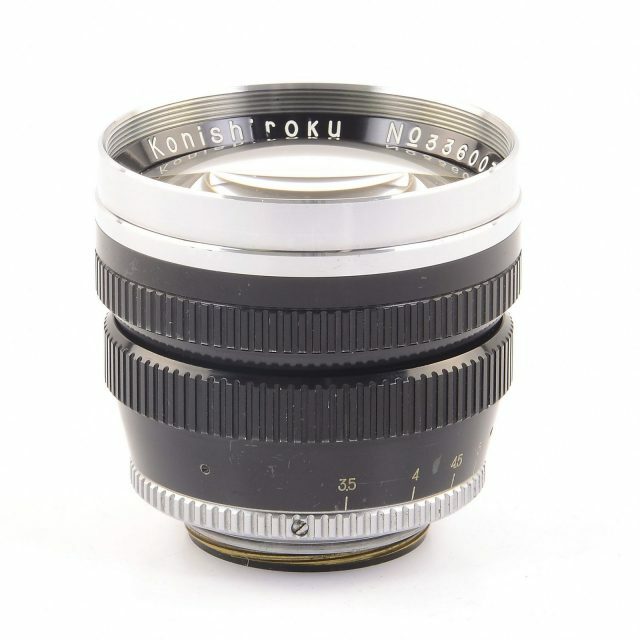 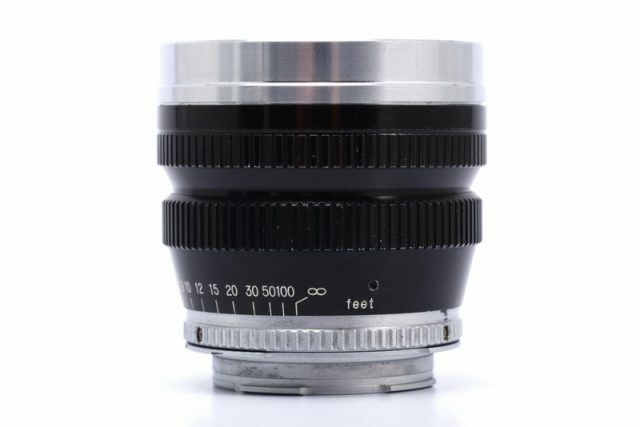 The filters had a black rim, engraved “Konifilter” and “UV”, “YI” or “RI” on the side.